Spend Your Flex Spending Account Credits Before it’s Too Late! Home » What's New » Spend Your Flex Spending Account Credits Before it’s Too Late! Need new specs for the kids? Time for an eye examination? Contemplating refractive surgery? The season has arrived to take care of all of your eye and vision needs. As the year's end approaches, so does the end of your flex spending dollars. If flex spending doesn't sound familiar to you, you may not be signed up for an FSA (or flex spending account) but you should confirm your benefits to make sure. If you contribute to an FSA with a company benefits program be sure to plan ahead. Most plans require you to use all money you've contributed before the new year or risk losing it for good! Using your FSA you can really save on your optometry necessities. Comprehensive eye and contact lens examinations, glasses, contact lenses, even laser surgery may all qualify for repayment. Be aware that some procedures, such as laser vision correction have a screening process that could cause a delay so schedule an appointment as soon as possible. If you have any questions, we are happy to go over your vision care benefits with you. 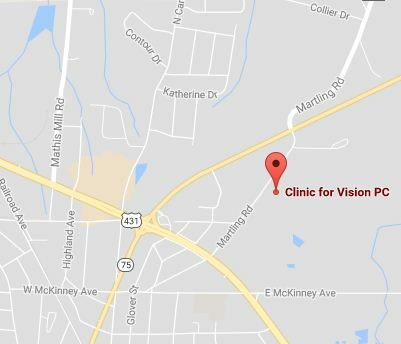 Our Albertville, AL Optometry Practice is here for you!